The causes of prostate cancer are hard to pinpoint but certain factors do increase your risk. Age, family medical history, and race are the leading factors. Other factors include weight and region. American males are most likely to become diagnosed than males in any other country. The statistics are staggering; One in six men will become diagnosed with prostate cancer and two men are diagnosed every five minutes. These are the facts every man should know about prostate cancer. 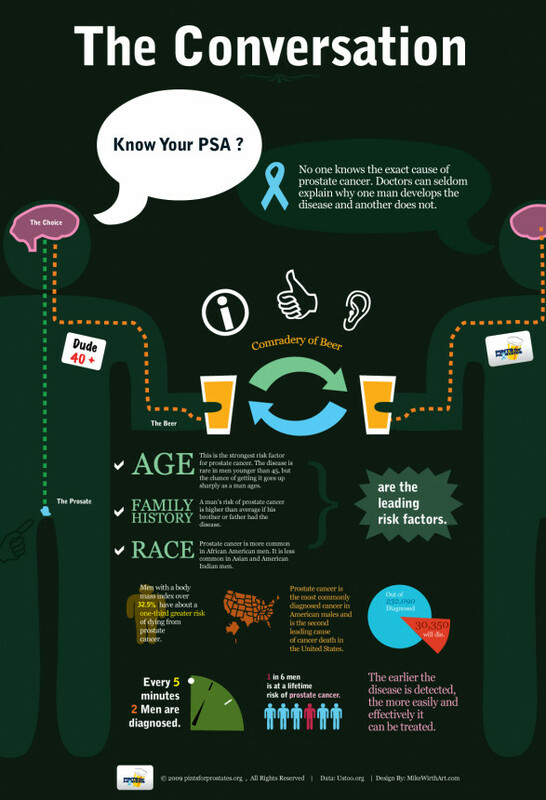 This entry was posted in Cancer, Healthcare Issues, Infographic and tagged Cancer, Healthcare Issues, Infographic, Prostate. Bookmark the permalink.